The chief of the Vuntut Gwitchin First Nation in Yukon says his community's traditional way of life is at stake and the time to act is now. Chief Dana Tizya-Tramm says declaring a climate change emergency is not only good governance, but is his community's responsibility to the rest of the world. "This is a powerful way in which to invite people into what we are experiencing in the North, in our daily lives, and as a government," he said. Tizya-Tramm says the official declaration will be made in May, at Old Crow's annual Caribou Days celebration, but there are bigger plans in the works as well. "It is just a matter of time before this declaration will land on other tables among the other 14 First Nations in the Yukon," Tizya-Tramm said. In June, delegates will travel to the Arctic Indigenous Climate Summit in Fort Yukon, Alaska, where they will invite Gwich'in communities across the Arctic to join them in their fight. "The Gwich'in Nation is from Alaska, from northern Yukon, into the Northwest Territories. And as First Nations, our original founding mandate, our original constitution is the land — so it's easier for us to galvanize around the land and around these issues far more than international communities," said Tizya-Tramm. The people of Old Crow are watching the effects of climate change unfold firsthand; recent reports only confirm what they already know. The Arctic landscape is changing dramatically. Temperatures are rising, there is less snow cover, winter is warmer and wetter and the permafrost is thawing. 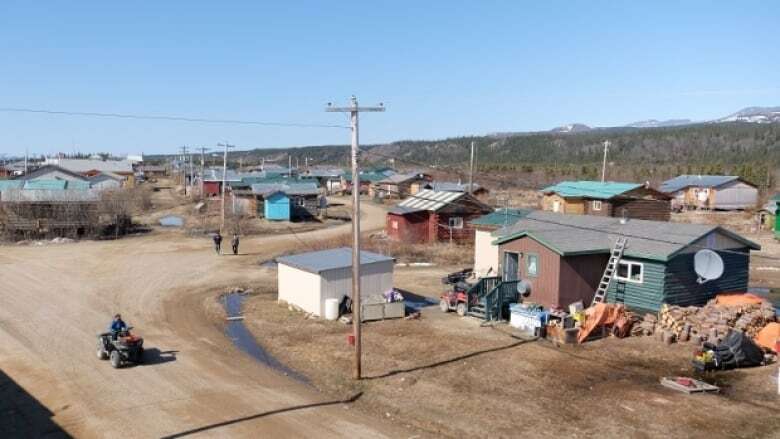 William Josie, an elder in Old Crow and the executive director of the Vuntut Gwitchin First Nation, says the weather has been getting warmer and wetter for years now. "It's something that we know, and it's something we have been seeing here for some time now — and it's quite concerning for my people," said Josie. "What's at stake is the future of Arctic people — it's survival." Tizya-Tramm says it's not too late to make a difference. "These implications are very far-reaching and there's a lot that we can do today about the emissions," he said. "As for the long term, a lot of that is set in process. But the point is on focussing on the solutions and there are many of them."